I am basically a prototype maker and I love to build electronics. My latest is a tiny robot. I usually work as a EE specializing in firmware. I also like to motorcycle and Kart race. I like learning more about electronics and mathematics. I figure I would reach out and meet like minded people. This user joined on 10/11/2015. Skoobot on CrowdSupply - please pledge! Cooling shirt made of pump and ice water. A through hole resistor ohmmeter. 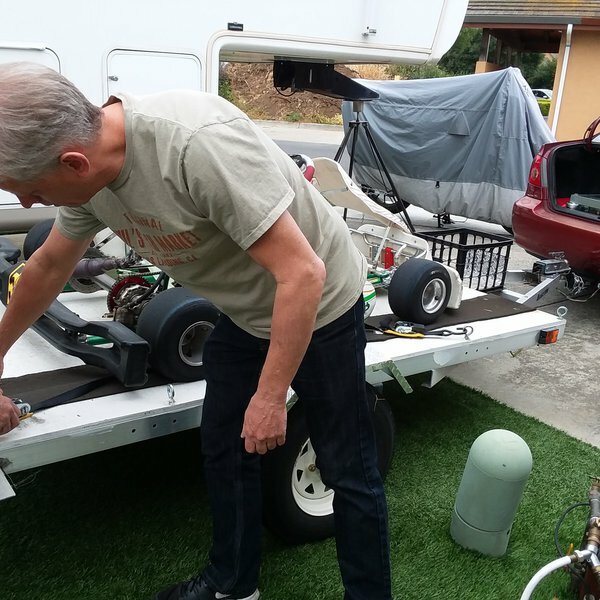 This is the first lawn mower connected to the Internet! Online Interactive Climate Control system for urban farming. GSM, WIFI & Online UI. To build a low cost tracking system without GPS for Animals and Human Animals. There are lots of people on earth and not a lot of health care workers nor doctors. What can be done to remedy this problem? An automated recycling sorter based on sensor fusion principles and recycled (where possible) components. A toy and app made for anyone to learn to code. Wireless drag-and-drop coding and our friendly iPad tutor. Think Lego meets the IoT! Hi @Bill Weiler and thanks for the follow! Hi there, thanks for following me. nice tiny robot project. loves that. good luck there for your submission. You are about to report the user "Bill Weiler", please tell us the reason.